The Eagles go to Super Bowl XIV after scoring 27 points in a row to beat the Cowboys. Disappointing one-and-done for Bears fans…while Dallas will be on the road against the Philly-New Orleans winner for the NFC Championship. Miami moves on to battle undefeated San Diego next week in the divisional round. Denver falls to 10-7 overall. 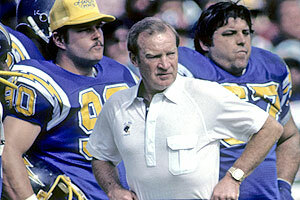 Don Coryell won the Coach Of The Year award, taking his Chargers to a 16-0 regular season mark.